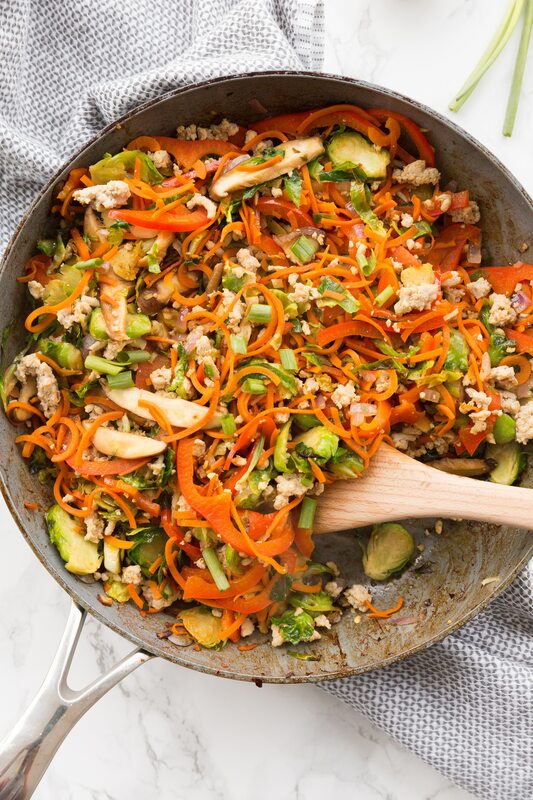 This stir fry bowl from Skinnytaste One and Done cookbook is made in one pan and is packed with spicy, umami flavors. 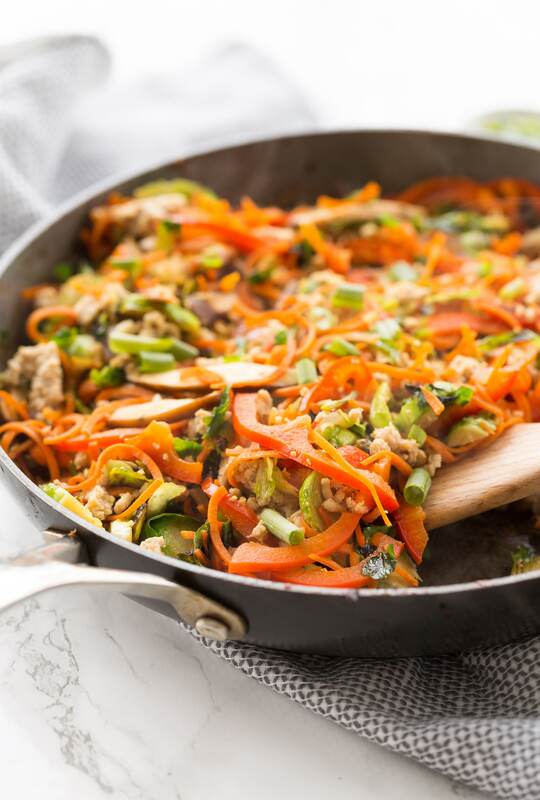 Spiralized peppers, carrots, and onions with mushrooms and ground chicken make for a flavorful, crunchy meal that comes together quickly in one pan for easy cleanup! Next week, I’ll be going to upstate NY to celebrate my friend Gina’s new cookbook (her third cookbook! ),Skinnytaste One and Done. I can’t wait! 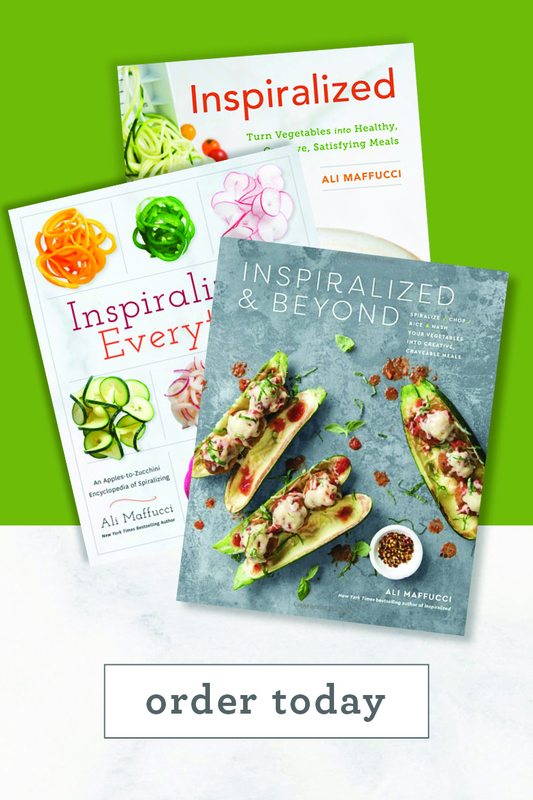 Writing a cookbook is no joke, and it deserves a celebration! It’s like a baby, haha! 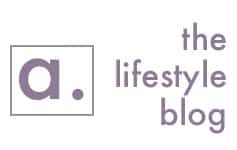 Fun fact, Gina’s blog was the first food blog I ever cooked from. I wanted to make a chili and a quick Google search brought me to Skinnytaste. The rest is history! She’s the best! 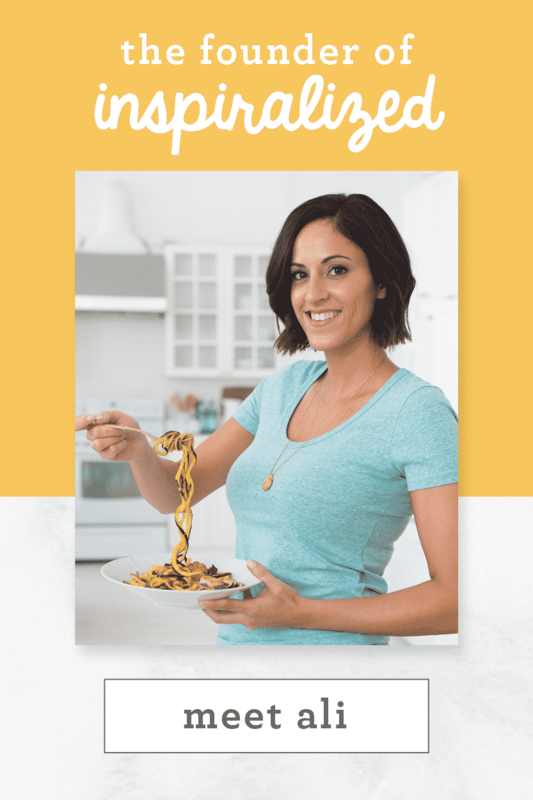 Her third cookbook comes out tomorrow and is now my favorite because it’s for those of us who don’t like to cleanup! 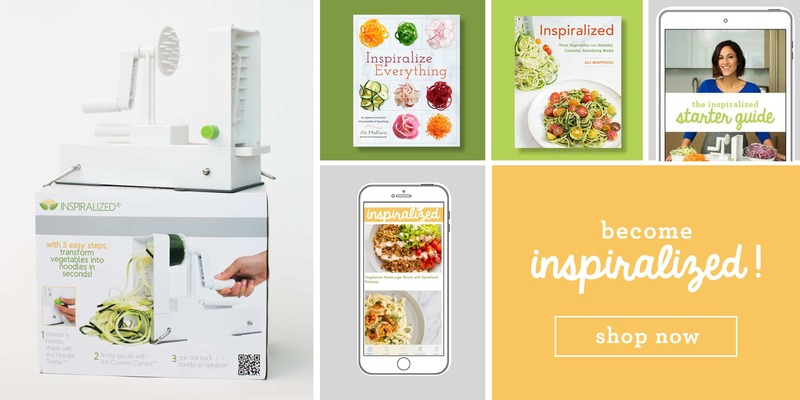 Everything is made in one pot – a pressure cooker, sheetpan, skillet, casserole dish, air fryer, you name it – as long as it’s one pan, it’s in there! How cool is that? 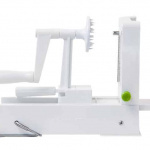 It’s perfect for the busy home cook who wants to put something healthy on the table, but doesn’t want to spend forever in the kitchen and certainly doesn’t want to spend time cleaning up afterwards. 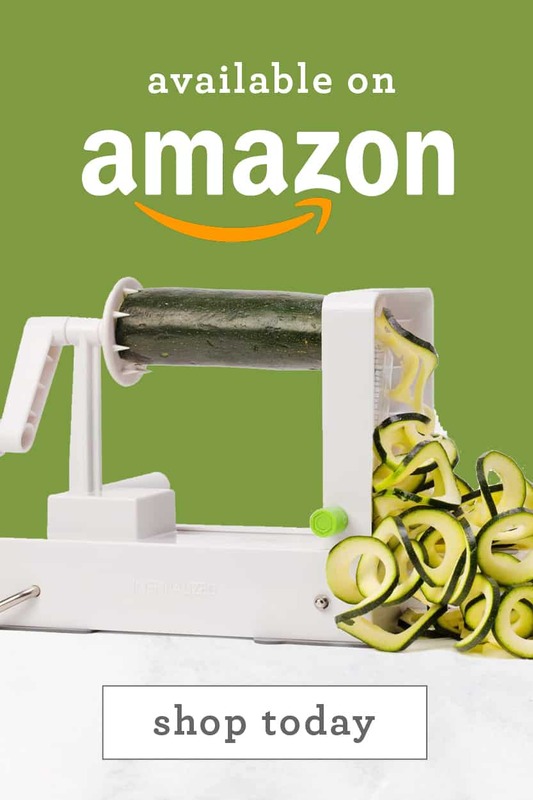 There are 140 recipes in this cookbook and 120 photos, which I love. I love a good stirfry, especially one with brussels sprouts and Asian flavors (how fun and different! 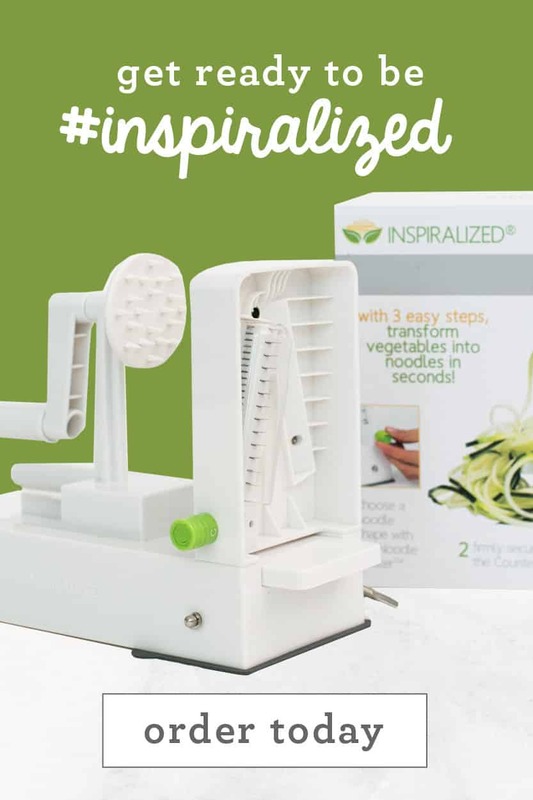 ), and I used the Inspiralizer to amp up the texture a bit with some spiralized carrots, peppers, and onions! This stir fry saves well, is lean but flavor packed, and is made entirely in a skillet! Sounds good, right? 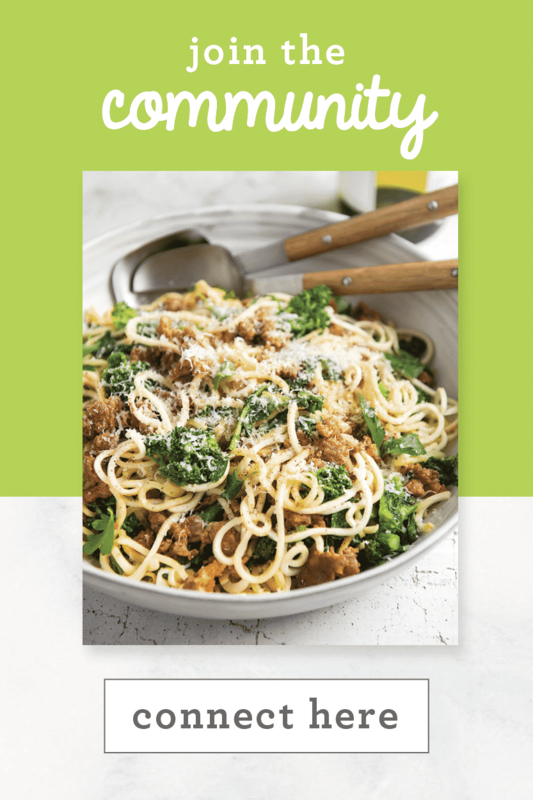 Pre-order her cookbook or pick it up in stores tomorrow! An early congrats to my girl Gina for making another incredible cookbook – and can’t wait to celebrate next week, mama! Brussels sprouts in a stir-fry? Why not! Although you’ll probably never see this dish on a Chinese takeout menu, I love making stir-fries with uncommon ingredients. Shred the sprouts very thinly with a sharp knife or buy them pre-shredded, and make sure your pan is really hot so that they brown a little on the edges—yum! This low-carb dish is so loaded with veggies that you won’t even miss the rice. * Read the label to be sure this product is gluten-free. In a large nonstick skillet or wok, heat 1?2 teaspoon of the grapeseed oil over high heat. When the pan is hot and almost smoking, add the chicken, 1?2 tablespoon of the soy sauce, and the pepper flakes and brown the chicken, using a wooden spoon to break it into small pieces as it cooks, 3 to 4 minutes. Add the onion, garlic, and ginger and cook, stirring, until softened, 2 to 3 minutes. Transfer to a medium bowl. To the pan, add the remaining 1?2 teaspoon grapeseed oil, the Brussels sprouts, and carrots. Cook, stirring, until browned, about 5 minutes. Add the bell pepper and mushrooms. Pour in the remaining 21?2 tablespoons soy sauce, rice wine, and sesame oil. Cook, stirring occasionally, until the vegetables are crisp-tender, about 2 minutes. Return the chicken to the skillet, stir, and reheat for about 30 seconds. Remove the pan from the heat, garnish with the scallion, and divide between 2 bowls. 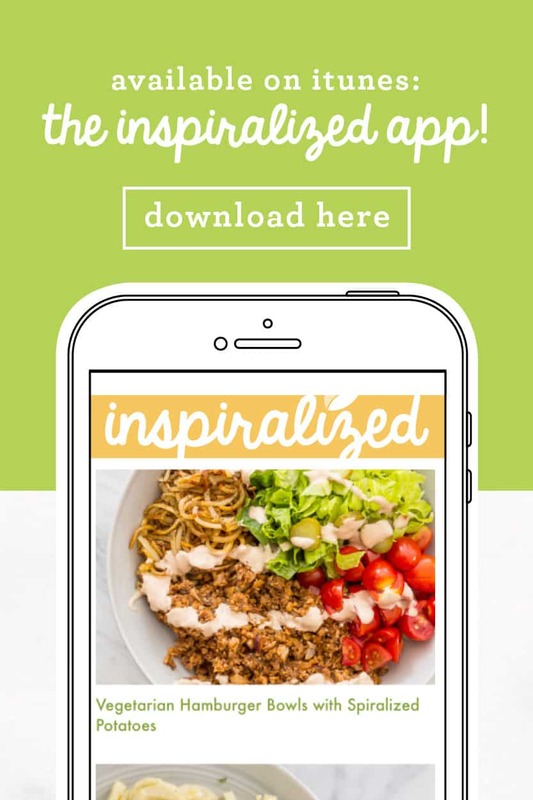 Reprinted from Skinnytaste: One & Done. Copyright © 2018 by Gina Homolka. Photographs copyright © 2018 by Eva Kolenko. Published by Clarkson Potter, an imprint of Penguin Random House, LLC. 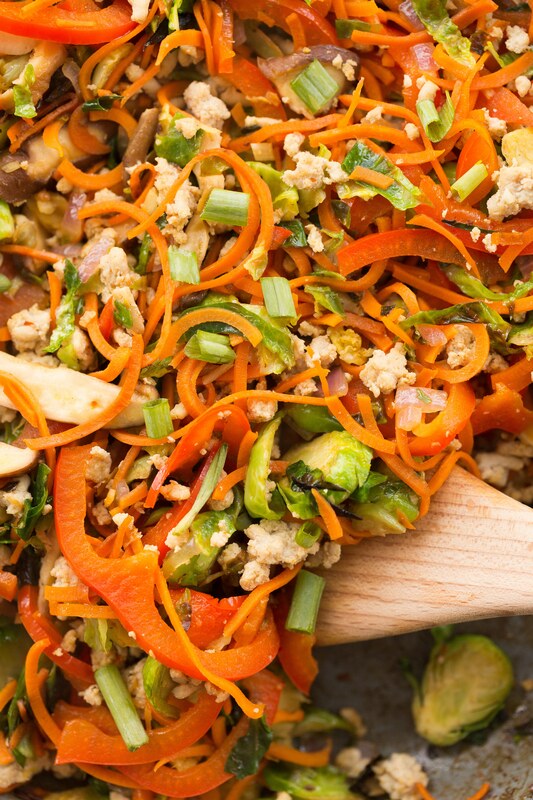 Skinny Scoop The trick to a stress-free stir-fry? Have all your ingredients prepped and ready before you start.